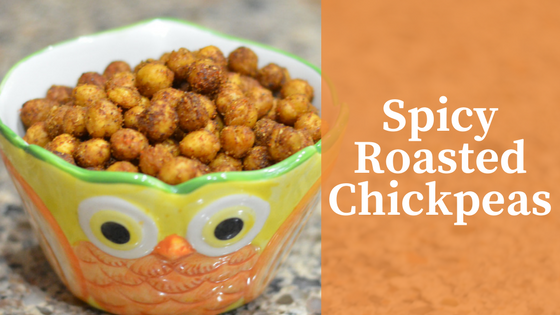 This recipe is a super simple vegan snack that I love eating, spicy roasted chickpeas. The great thing about roasted chickpeas is that they are packed with protein. How can you say no to delicious healthy things? I love how flexible this recipe is, you really can put any flavor you want on your chickpeas, it doesn’t have to be spicy. Somethings I just enjoy mine tossed with garlic salt and plain olive oil. I enjoy these snack straight out of the oven, but I am also known to place them on my salads. Really it’s a flexible treat and you can eat them however you want. I also decided to make a short little youtube video showing how to make this dish. This is my first time ever making a video so I am very excited to share this with you all! Drain and rinse canned chickpeas, dry chickpeas off using a clean kitchen towel. Mix in olive oil and spices with chickpeas. Spread seasoned chickpeas on a foiled cookie sheet and bake for 25-30mins. Below is my first YouTube video! Woot!